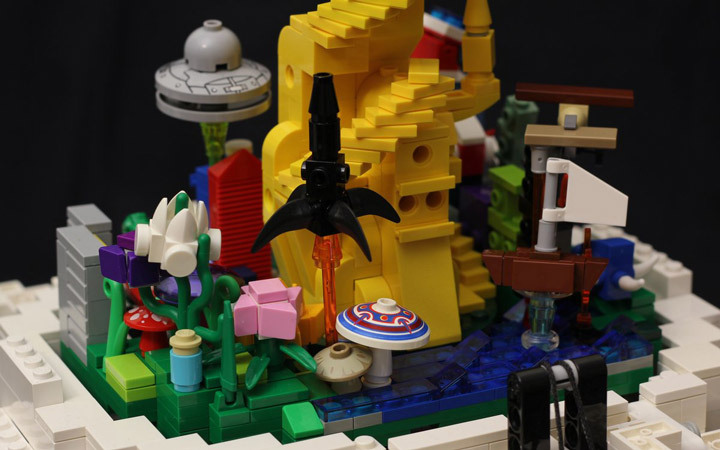 Most Lego creations are a form of art, but some strive to be a little something more. 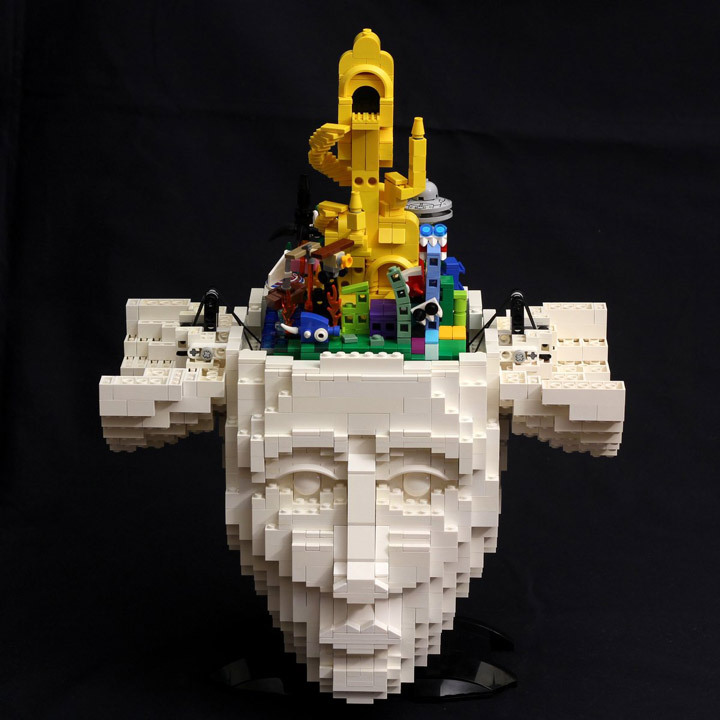 This Lego sculpture, titled Inside the Mind of a Lego Artist, is the creation of Kristal. This is a kinetic sculpture that can almost qualify as an Automaton. The feature here is that the human head can open up and reveal an inner working of the mind. A place of imagination and wonder. Which is an explosion of color when compared to the outer white shell. Make sure to check out the video below. The opening of the mind is a great surprise, and features some slick work with pulleys and gears. The second half of the video goes into the details of the technical system created.